« How Long Does a Kitchen Remodel Really Take? Are You Considering a New Bay Area Air Conditioning Unit? When you’re ready to upgrade to a new HVAC system, you’re probably concerned with its features, such as capacity and efficiency. A new unit is not inexpensive. As a homeowner, you might be considering a DIY project, installing your HVAC unit yourself. But before you tackle the job, consider these three reasons you should call a professional East Bay HVAC installer. Your HVAC unit is designed to last 10 to 15 years. When a unit isn’t installed correctly, it can reduce the lifespan of the unit and may even void the warranty prematurely. Some companies require the unit to be installed by a certified licensed contractor. You may even be required to schedule annual maintenance by a professional. Proper installation from the start will ensure that your unit maintains its longevity. An HVAC system that isn’t installed to the manufacturer’s specification will not be as efficient as it should. Your investment into a higher SEER rating won’t provide a ROI unless the unit is installed correctly. It could decrease efficiency by up to 30 percent. Your HVAC system is designed to heat and cool your home for maximum comfort, no matter what the outside temperature is. When a unit isn’t installed properly, it translates into comfort issues. The unit may not be able to deliver even cooling or heating throughout the home. If you’re having recurring problems, such as too much humidity or one room not cooling or heating properly, a professional can find solutions. What else can a professional HVAC installer do? 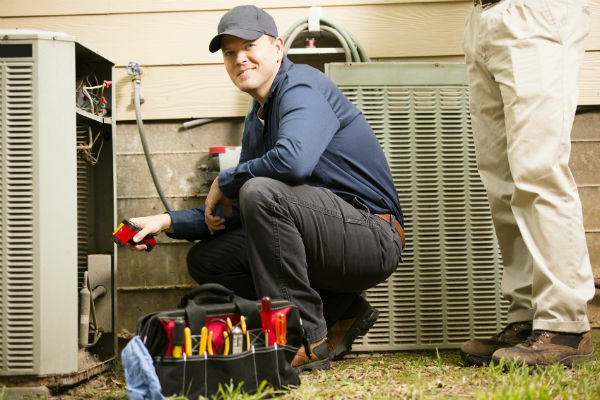 Replacing your HVAC unit may seem like a simple in-and-out job. However, there may complications that make the job more difficult. Your community may require permits that will need to be obtained before installation. The area may need to be cleared. A professional has system knowledge that you won’t. You may need new duct work for maximum efficiency. Your professional installer may also have information about tax incentives and rebates available to you for installing a more efficient unit. Your installer might also help you choose the right unit not only for the size of your home, but for the Bay Area climate. An HVAC system is a big investment. Make the most of your home improvement budget by talking to a professional installation company that will provide experience to ensure the job is done right. For Bay Area air conditioning installation and repair, contact BA Morrison for maximum comfort inside, no matter what Mother Nature sends your way.